One of Claude Monet’s famous water lilies paintings has sold for $43.7 million at a New York auction. A painting by Wassily Kandinsky also sold for $23 million at the Christie’s auction of impressionist and modern art, setting a record for the artist. Works by Pablo Picasso and Joan Miro also went under the hammer in the first of two weeks of major auctions in New York. However, about 30% of the 69 paintings up for auction failed to find buyers, Reuters reported. 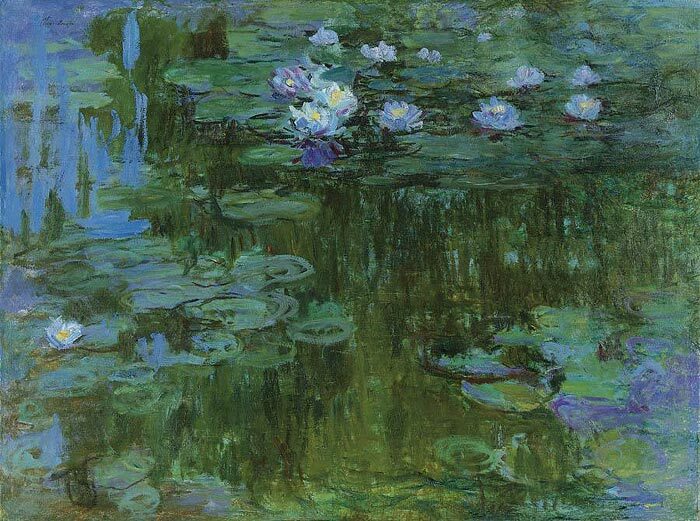 Claude Monet’s oil-on-canvas Nympheas – painting in 1905 during the artist’s years at Giverny – reached the high end of its $30 million-$50 million pre-sale estimate. Wassily Kandinsky’s vibrant work Studie fur Improvisation 8 had been estimated to fetch between $20 million -$30 million and was sold by Switzerland’s Volkart Foundation. The price broke the Russian artist’s previous record of $20.9 million for Fugue set in 1990. The bronze La Jambe by Alberto Giacometti sold for $11.3 million and the painting Peinture (Femme, journal, chien) by Spanish artist Joan Miro, sold for $13.7 million. Pablo Picasso’s Buste de femme fetched $13 million. Among the works that failed to sell were the Picasso sculpture, Coq, estimated at $10 million -$15 million, and works by Chagall and Degas. Some experts have warned the disparity between art values and the broader economy cannot continue and that while the most coveted works are rising in value, other sectors of the art market are less buoyant. Nevertheless, Brooke Lampley, head of Impressionist and modern art at Christie’s, said it was a “very, very strong sale, with great results”. Later on Thursday Sotheby’s will belatedly stage its own Impressionist auction. The sale has been delayed for three days because of Hurricane Sandy. Michel Basquiat rose from being an obscure graffiti artist in New York to become one of the city’s most lionized artists before his death of a heroin overdose in 1988.